Having had continued success with his debut sofubi Koninu, Monkey3000 over at Ummikko is proud to unveil a near-finished prototype for his latest vinyl figure! 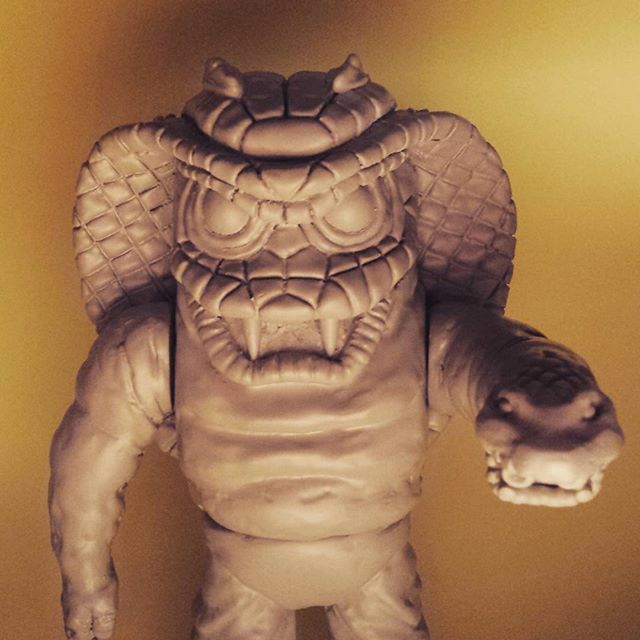 Drawing inspiration from classic tokusatsu characters as well as cult horror flick Dreamscape’s Cobra Man, the figure appears to be around the same scale as Koningu at 5.5″ tall, once again coming complete with articulation in both the arms and waist. Pictured here as a near-finished clay prototype, will all things going well, we should hopefully see the beast’s debut in soft vinyl before the year is out… Keep track of Monkey3000’s Instagram feed here for more news over the coming months! This entry was posted on August 6, 2015 by trutek. It was filed under kaiju, prototypes, sofubi, vinyl and was tagged with cobra man, kaiju, koningu, sofubi, sofubi prototype, tokusatsu, ummikko, vinyl toys.